Face Value: Well, unfortunately, it’s the worst, which is particularly disappointing given the high quality of the writing between the covers. But really, there is no apologizing for this cover. We have a fragile and glamorous looking, probably dead or at least unconscious girl being shadowed by a mysterious old fashioned gentleman. The texture of the book jacket is some kind of fancy sparkly material that makes it look even sillier. I’m not fond of the the glammed up model on the British cover (right) but at least it seems like some attempt was made to make the girl look like the physical description of Rory. Although why is there a butterfly? I don’t know. But the American one screams to me “THIS BOOK WILL BE FETISHIZING VIRGINAL MURDER VICTIMS, ALSO LOOK AT THIS DASHING OLD TIMEY GENTLEMAN” which is super unfortunate because that’s not what the book was about at all. If you didn’t already know & trust Maureen Johnson as an author, I can’t imagine being in a bookstore, and purchasing this book on the cover alone. So trust me, buy the book, remove the book jacket, commence reading. It’s worth it. Does it Break the Slate? Totally. I’m so glad I’m done with the cover section of this review, because now I can just say good things. Because, you guys, this book is really good, and really Slatebreaking in a whole lot of ways. There are many interesting female characters, and Rory, our hero, is totally likable and really brave in a believable way. I feel completely confident that if Rory and I would be really good friends, if, you know, she was real and I was also a teenager at a British Boarding School. She hates sports, she likes to read, she’s funny and a good friend. And when the crazy ghost-related events take their turn about halfway through the book, she also kind of becomes an action hero, without letting go of the personality quirks that made us like her so much in the first half. Who would we give it to? Both fans of Maureen Johnson’s sharp, witty contemporary novels and people who like reading about mysterious London ghosts will be totally delighted with this book. So basically, ME. I am the target audience for this book. Review: It’s Halloween! Happy Halloween! 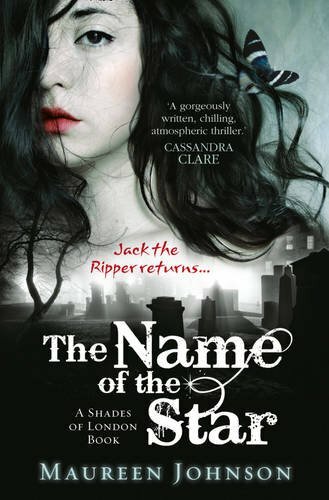 And what better way to celebrate than with a review of a sincerely creepy and delightfully satisfying ghost story/mystery set in contemporary London surrounding the mythology of Jack the Ripper? When you add to that list that it’s by the always funny and immensely readable Maureen Johnson, I probably don’t even have to tell you that this book is a must-read. “It turns out there is nothing more annoying than waiting around for other people to shower. You resent every second they spend in there. You analyze how long they are taking and speculate on what they are doing. The people in my hall showered, on average, ten minutes each, which meant that it was over a half hour before I got in. I was so full of indignation about how slow they were that I had already preplanned every shower move. It still took me ten minutes, and I was one of the last ones out of the bathroom. Jazza was already in our room and dressed when I stumbled back in, my hair still soaked. ‘How soon can you be ready?’ she asked as she pulled on her school shoes. These were by far the worst part of the uniform. They were rubbery and black, with thick nonskid soles. My grandmother wouldn’t have worn them. But then, my grandmother was Miss Bénouville 1963 and 1964, a title largely awarded to the fanciest person who entered. In Bénouville 1963 and 1964, the definition of fancy was highly questionable. I’m just saying, my grandmother wears heeled slippers and silk pajamas. In fact, she’d bought me some silk pajamas to bring to school. They were vaguely transparent. I’d left them at home. I was going to tell Jazza all of this, but I could see she was not in the mood for a story. So I looked at the clock. Breakfast was in twenty minutes. I love when books give us plenty of time to establish a mood before the big mysteries or plot points unfold. Johnson makes this book equal parts boarding school story and ghost story, and the time that is spent establishing the characters and setting before we get to the supernatural mystery element made me that much more invested. We don’t get to the ghosts until about halfway through the book. What’s particularly great about this, is that it takes a concept that in the one-sentence description sounds kind of ridiculous (ghost fighting teenagers in London!) and makes it something that totally works, as the mysteries are revealed to the reader alongside Rory, a character we’ve come to really like. The Ripper Mythology, of course, was a big draw for me, and will be for plenty of other readers. Sordid as it is, these kinds of unsolved mysteries are fascinating, and the romanticization of late 19th century Whitechapel has done it’s job, making these one of the most talked about unsolved crimes in history. And it should be said that the fetishization of these murdered prostitutes is part of what has made these crimes so compelling over the years, and disregard for them based on their circumstances is part of what made them so vulnerable and kept police from caring enough about solving them in the first place. These are undeniable facts that should be addressed when talking about this crime. So one thing that I appreciated in Johnson’s story, is that she shifted the focus away from just the murders themselves, but the surrounding frenzy, and the way the media (specifically the Star, an early tabloid) sensationalized the murders, making the murderer Jack the Ripper as we think of him today. This sensationalism, both in the original murders and in the copycat killings that are happening throughout this book, is a major theme. Rory talks about how people respond with a mix of fear and thrill. This story offers an interesting perspective on what 21st century technology might bring to this crime that has fascinated people since the 1880s. Certainly the tabloid response during the original crime shows that people were no less salacious in their desire for lurid information than they are now. How would this kind of crime be impacted by the internet and the 24 hour news cycle? In addition to ghosts and boarding school there’s also romance in this book, and which I enjoyed mostly for how incredibly plausible it was. By which I mean, Rory and Jerome, both high schoolers, have a totally charming and believable romance that is far more centered in the “you’re cute, maybe we should make out” end of the spectrum than the “soulmates who are meant to be together forever” end of the spectrum. Which, let’s be real, is pretty refreshing. This is the first book in a series (as everything seems to be lately) but luckily, Johnson still gave us a legitimate ending to this story, while leaving the characters open to more adventures. I will definitely be in line to buy the next one when it comes out. Reviewed from copy purchased at Changing Hands Bookstore in Tempe. 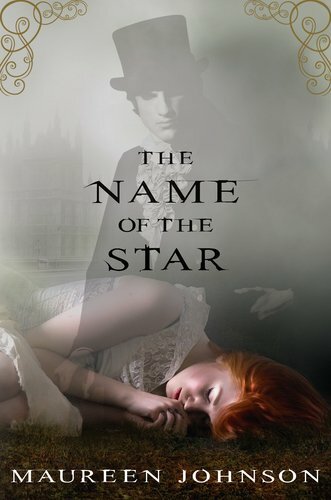 This entry was posted in Reviews, Young Adult and tagged Boarding School, Ghosts, Humor, Jack the Ripper, London, Maureen Johnson, Misleading book covers, Mystery, Young Adult. Bookmark the permalink. Er, Rory’s a ginger. And she kind of *does* get attacked by the ‘ripper’..so the American cover (though not pretty I’ll give you that) is actually more accurate than the British cover, as she’s portrayed as a brunette.